Noel Hill will be one of the big attractions at Foxford Traditional Weekend. Music lovers from far and near will enjoy a feast of traditional music, song, and dance this weekend as the Foxford Traditional Weekend takes place. The town, which is a haven for many musicians, will host the annual event, and there is a serious line-up for this year’s festival. A session trail of music around the town will take place at different times, day and night, for the whole weekend, in all seven public houses. The session trail will include some of Ireland’s finest musicians from all parts of the country and this ‘high energy’ trail is sure to lift your heart and get your feet tapping. All musicians are invited to join in the session trail or initiate their own session in one of the many nooks and crannies. The standard and quality of music from the younger generation is inspiring and a showcase of their talent will be on show during Teen Trad in Cruiser’s on Friday evening at 7pm. This event will feature many All-Ireland Fleadh Cheoil finalists and indeed winners, from all over Connacht. A series of workshops and master classes will take place over Saturday and Sunday with some of Ireland’s leading tutors. 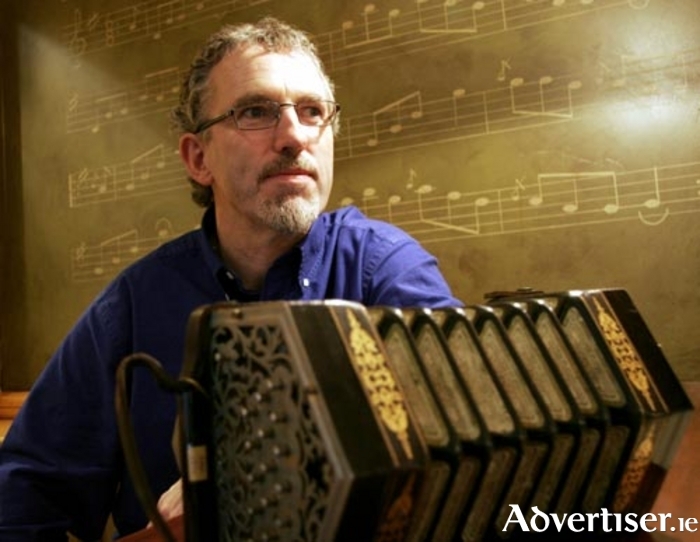 Guest tutor for the weekend is the renowned concertina master from Clare, Noel Hill. Noel has taken the concertina to stages throughout the world as an awe-inspiring performer and music teacher, and his arrival in Foxford will cause great excitement among concertina players, young and old. Other workshops over the weekend include tin-whistle, flute, fiddle, banjo, accordion, harp, piano accompaniment, bodhran, and singing. A performance master class will be held to cater for proficient musicians. They will be guided under the instruction of David Doocey – a master musician himself. This group will have the opportunity to perform at the Saturday night concert alongside greats like Noel Hill, tutors, and many, many more superb musicians. One of the classes which will be of interest to a lot of people is the mixed instrument adult class – this class would perhaps suit adults who may have played music at a younger age but realise now that their Mother was right and they should have kept it up. This might just be the push needed to get them back into the ‘ceol'. Sean-nós dancers will be put through their paces on Saturday afternoon with the sean-nós dancing competition which will start at 4pm in the Mayfly Hotel. There will also be individual competitions for the cailíní agus na buachaillí, and all ages are catered for with music by melodeon player Tom Doherty. The Féile Concert will take place on Saturday at 8pm in the Mayfly Hotel featuring Noel Hill. It is a guaranteed great night of ceol, damhsa agus craic. The concert will also feature many of the weekend tutors and visiting musicians, singers, and dancers. A must for all true Irish music lovers. With set-dancing, singing club, storytelling, junior sessions and lots, lots, more, tune up your instruments, polish your shoes and don’t miss this exciting musical event on our doorstep. For full details on the weekend, check www.foxfordtraditionalweekend.com or call (086 ) 3999774.